For the past week we put together a fun social media contest for all of you out there, who got back to work after the Holidays with a long list of New Year resolutions. What you had to do was to tweet your wish using the hashtag #MySEOWish2015 and entered yourself for a chance of winning a 1 year subscription to AWR Cloud. The contest has now ended, so thank you all for participating! Also, congratulations to our lucky winner, Robert Stoubos! You can see his wish below. We got from you a lot of inspiring wishes, that spoke loudly about where is our industry going and its ambitions. It would be a terrible waste to let them get covered up in Twitter feeds going unnoticed. Here is a selection of those that we thought you may find inspiring. Enjoy! 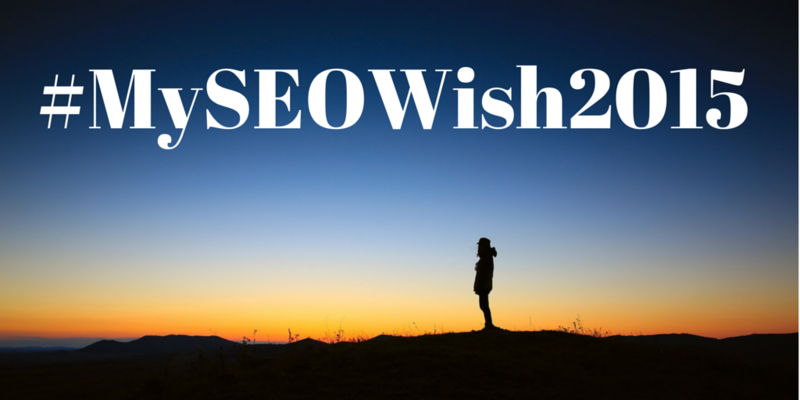 Even though the contest has ended: What is your SEO wish for this year?